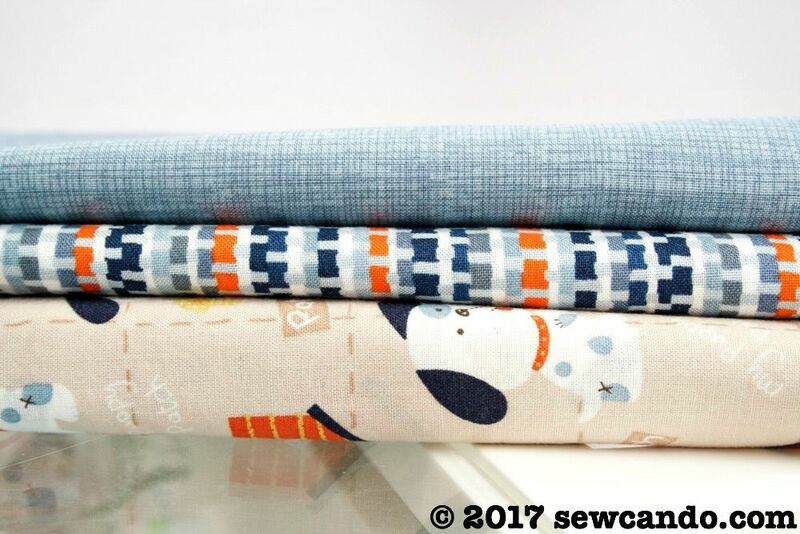 Sew Can Do: FREE Fabric Friday: Boy Oh Boy Fabric Bundle! 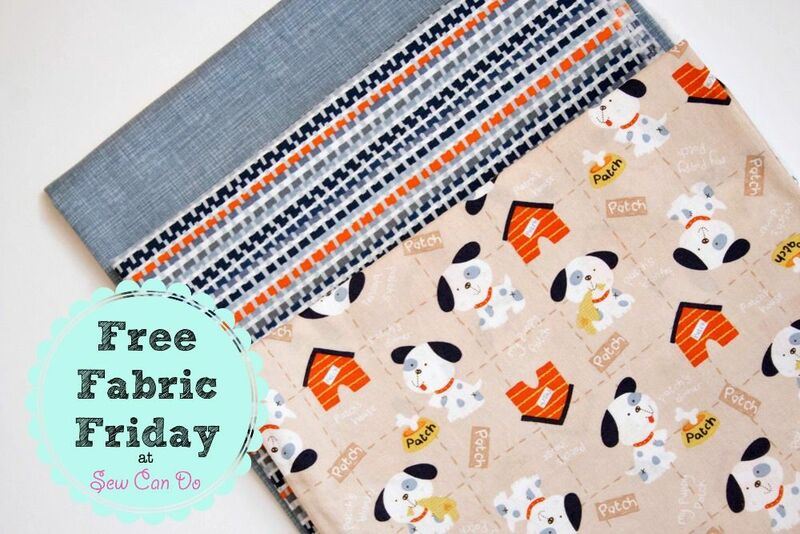 FREE Fabric Friday: Boy Oh Boy Fabric Bundle! 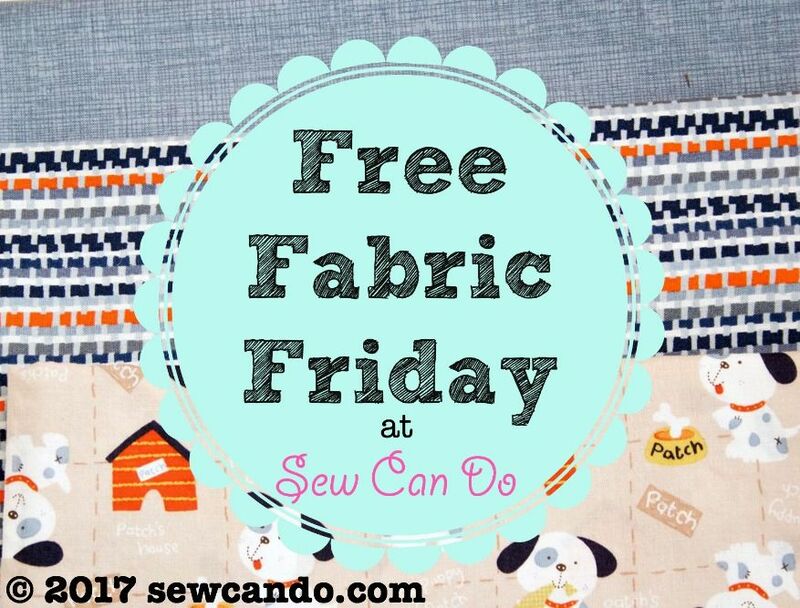 It's that time of the week: Free Fabric Friday! De-stashing for me = FREE fabric for others. 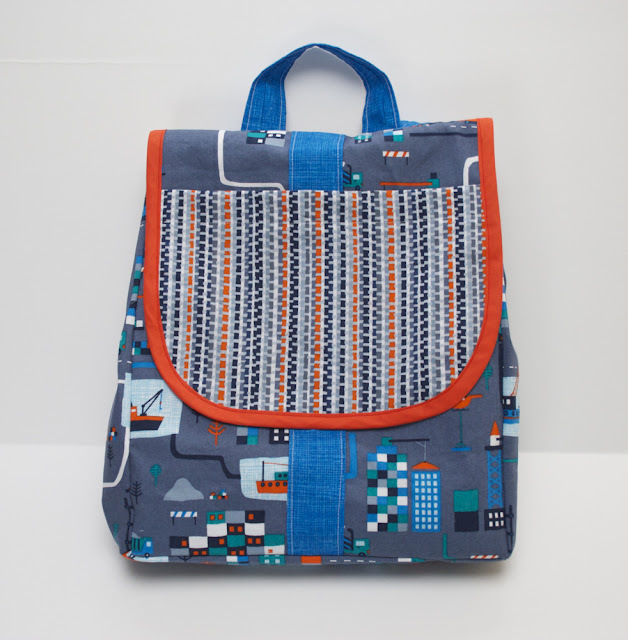 C'mon and give some fabric a good new home! This is the chance to build up your stash, score some hard to find prints and sew new things without the usual price tag. Something for the boys! It's a bundle full of fun boy fabric (which girls may love too). 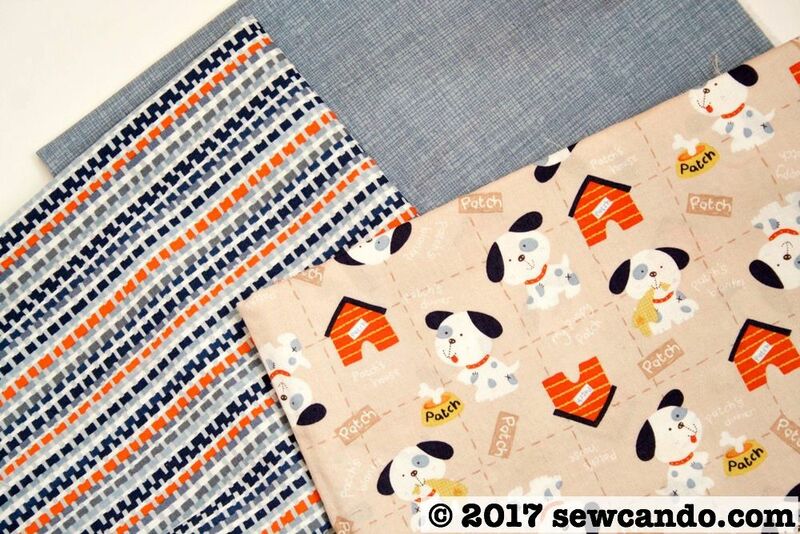 This set includes 1 full yard of a fun puppy print, 1/2 yard of the crosshatch in denim blue and a slightly larger than fat quarter cut of zipper-style stripe grey. The crosshatch and stripe are both organic cotton prints from the now retired Shipyard collection by Timeless Treasures. 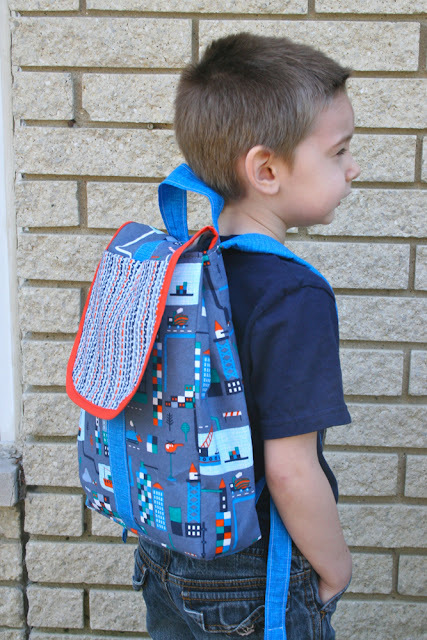 I originally used some of those prints to make my first FlapHappy Backpack-y. A tutorial for making the backpack can be found here. 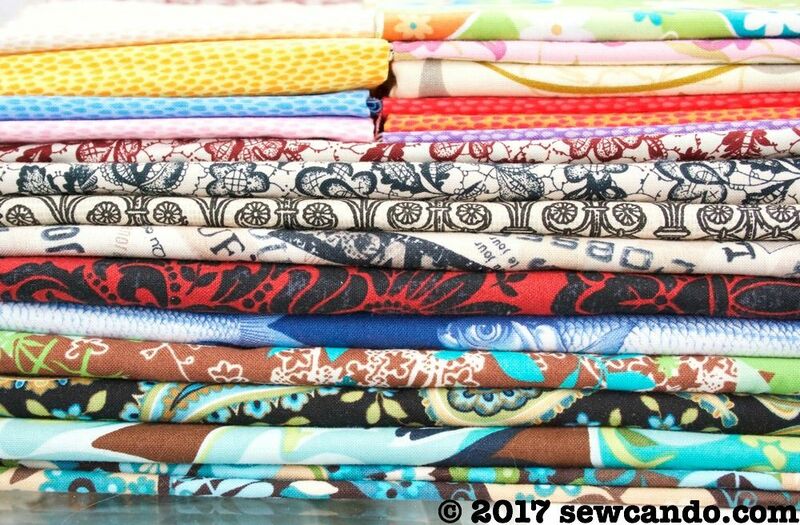 - Every Friday (as time permits), I offer up some free fabric, starting in the morning. - If you're interested in snagging it for yourself, enter on the Rafflecopter. - At the end of the day, I'll randomly draw the free fabric recipient and then post who it is here (said person will also get an email notification). This means those in a different time zone won't be at a disadvantage and the results will be known to all the next day. It's only open, until 11:59pm EST today, so don't wait! KEY INFO: The fabric will cost nothing, but I will need the shipping cost to be paid by the recipient via PayPal within 24hrs of notification. This cotton bundle is 9 ounces total. I'll ship it USPS to keep it as cheap as possible and only require the actual postage cost. My handling time and packaging will also be free:) Currently this is limited to US residents only. I have four grandsons so I would definitely make something for them - pillowcases would be fun as would a backpack. I'd make a quilt for a toddler. I have a couple of boys in mind that would like it. Thanks Cheryl! I need to make a quilt for a little baby boy due in June so this would be perfect. My youngest grandson needs something made by his Grandma Weez! 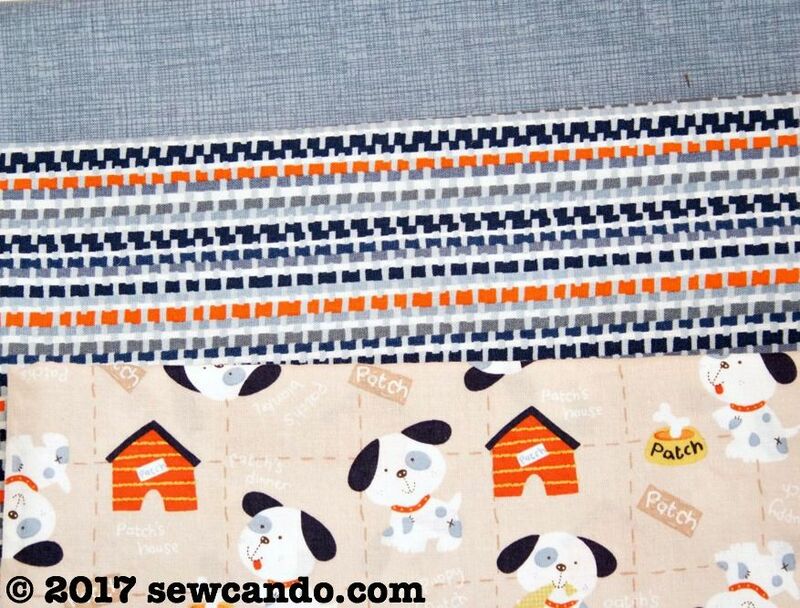 I'm not sure what, a little quilt, bibs, or just anything would look good in this super fabric! I have a Granboy that would love something from those adorable puppies!! :) Maybe a small "Just Right Size' for a lil guy..or bibs, & pr Jammie pants. I would like to make a drawstring bag for my granddaughter. Something for her to keep some small toys in like legos, etc. What cute fabric! Perfect for any little boy. My grandson LOVES pillows so I would probably make him some new throw pillows for his room that he can use when he lays around playing those video games or watching movies!